Ashburton Pumping Station - PRIME AE Group, Inc. Showing signs of deterioration, the 1956 Ashburton potable water pumping station needed repair and upgrades. The “Collegiate Gothic” structure is adorned with finely detailed stone walls and ornamentation, its roof made of clay tile, and windows original and covered by security grills. The evaluation of the structure revealed that the existing clay tile roof on the pump station building required refurbishment including removal of mold growth and replacement of broken tiles. External metal security grills on the windows will be removed from all windows and the windows will be replaced with new energy efficient security units replicating the design of the original structure. Refurbished features included: cleaning of interior finishes including carved sandstone trim, glazed brick walls, terrazzo floors, concrete walls and metal roof trusses; upgraded mechanical and electrical equipment, and the original pumps were replaced with higher capacity units. To provide back-up power for the electric pumps, a new 4,880 SF generator building will be added. 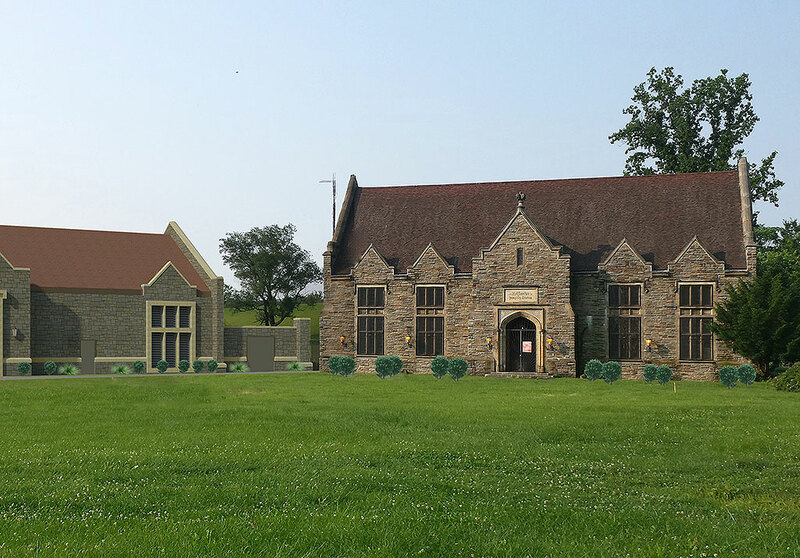 The new building will be detailed in stone to compliment the original building and will also feature a gabled roof with synthetic slate tiles.